Burn injuries are frightening and dangerous. Burn injury victims can be disfigured or even permanently disabled, and they often suffer agonizing physical and psychological torment. However, about half of all burn injuries in the state of California are caused by another person’s negligence, which means those injuries were preventable. To prevail with a burn injury lawsuit, a victim must prove that negligence not only happened but also that it was the direct cause of the injuries. In southern California, experienced Riverside burn injury attorney Chris Purcell helps the victims of burn injuries obtain the compensation – and the justice – that the law entitles them to receive. Electrical burns: these can be caused by defective products or someone who is acting negligently around electrical items. Thermal burns: these burns occur when you are directly exposed to heat or other extremely hot objects. Chemical burns: these can occur when you are exposed to hazardous chemicals either at home or work. Scalds: this type of burn occurs when you make contact with extremely hot liquid, even water. There are also four different degrees of burns, first degree, second degree, third degree and fourth degree. Burns are classified into these different degrees based on their severity. Each type of burn mentioned above can cause any of the different degrees of burns depending on the severity of the injury. For example, a thermal burn may be a first degree burn if the victim is not exposed to the hot object for a long period of time. But, it may also be a second, third or fourth degree burn if there was prolonged exposure to the heat. WHY IS IT SO IMPORTANT TO WORK WITH EXPERIENCED LAWYERS WHO CAN HELP YOU RECOVER COMPENSATION? Burn injuries can be catastrophic. These injuries can damage nerve endings, which leads to extreme, intense pain. The treatment of burns can be painful and extensive, too. Severe burns may require the surgical removal of dead tissue from the affected area. In some cases, a skin graft may be needed to transplant unburned skin to the burned area. Some victims may need to go through physical therapy or even reconstructive plastic surgery as part of their treatment plans, too. All of these medical expenses can quickly add up and put a huge financial burden on you and your family, which is why it is so important to seek compensation for your burn injuries. If you have suffered a burn injury because of someone else’s negligence or a defective product, contact experienced attorney Chris Purcell as soon as possible. 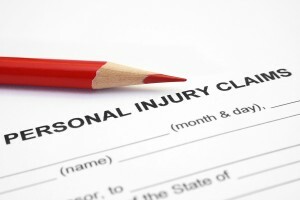 WHAT TYPES OF COMPENSATION CAN ATTORNEYS HELP YOU RECOVER FOR A BURN INJURY? Compensation is never a guarantee in burn injury cases. To determine whether you are entitled to compensation, contact Chris Purcell for a free legal consultation. Chris Purcell will review the details of your case and thoroughly discuss all available legal options with you, but you have to make the call to get started. The possibility of a burn injury is everywhere. Direct contact with an outdoor grill, an oven, steam, hot water or coffee, dangerous chemicals, and frayed wiring can all cause burn injuries. Landlords, product manufacturers, parents – all of us, in fact – should try to be more aware of the potential for burn injuries. If a defective consumer item or a negligent property owner is directly responsible for causing a burn injury, Chris Purcell can advise you regarding your legal alternatives and aggressively fight on your behalf, but you have to take the first step – and make the call. For more than two decades, personal injury lawyer Chris Purcell has diligently represented burn injury victims in Riverside, across the Inland Empire region, and throughout southern California. California law entitles burn injury victims – when they can prove they were injured by another person’s negligence – to complete compensation for medical treatment, including treatment and therapy for as long as necessary, all lost wages, and all other injury-related expenses and damages. Chris knows how to win. He was part of the legal team that won California’s largest-ever civil judgment – a $150 million verdict in 2013 – for a family devastated by negligence. After sustaining burn injuries, victims can count on personal injury attorney Chris Purcell to help them get their lives back. A burn injury victim can be confident that as Chris Purcell’s client, your case will be handled with the utmost competence and care. Chris Purcell has experience representing people in cases involving burn injuries, bicycle accidents, pedestrian accidents, truck accidents, motorcycle accidents, dog bites, slip and fall accidents, spinal cord injuries, premises liability, construction accidents, and auto accidents. Personal injury claims are handled on a contingency fee basis, so you pay nothing as a victim unless and until Chris Purcell wins compensation on your behalf. To arrange a free consultation with a Riverside burn injury lawyer, call 714-332-5098 today or contact our offices by email after sustaining any serious injury caused by negligence.